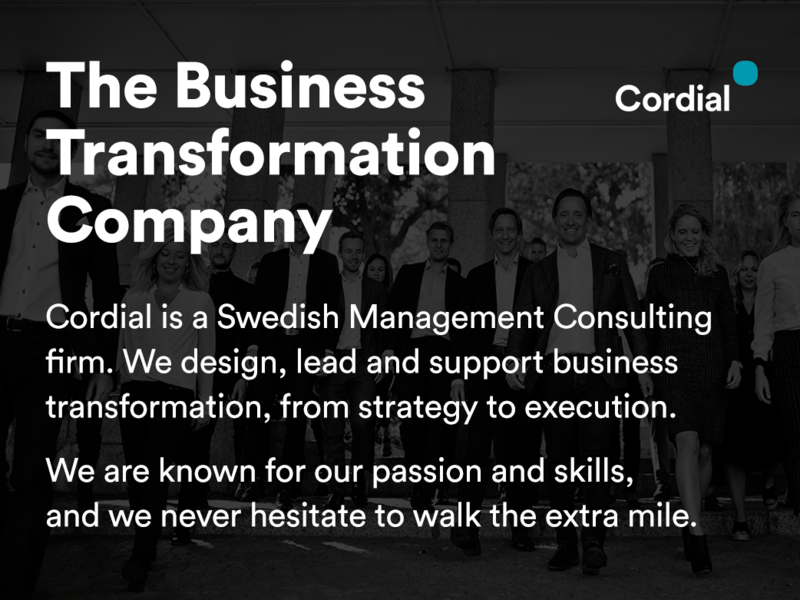 Cordial is a management Consulting firm. We provide our customers with a safe path to successful business development and transformation by bridging the gap between strategy, structure and culture. Cordial team members are known for their passion and skills. We believe in hard work, but also in life balance. As a team, we never hesitate to walk the extra mile for our customers or for each other. We know there is often more than one possible solution and we always strive to inspire and challenge each other to go further. We believe in commitment and long term relationships both with customers and colleagues.